Kazy Tauginas is an artist who wears many hats. 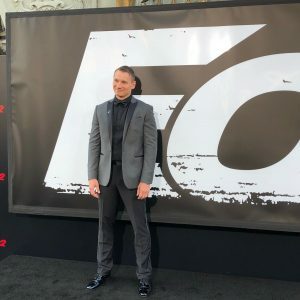 He’s an actor, having appeared in television shows such as Sneaky Pete, Blindspot, Person of Interest, Turn, Blue Bloods, and Law & Order: SVU, and blockbuster films including John Wick and The Equalizer 2. 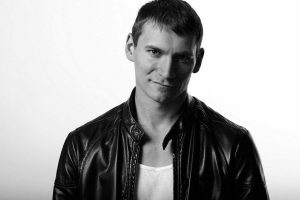 He’s also a producer and writer, having worked on an award-winning and very personal short film, Standing Eight. New York Film Academy (NYFA): First off, can you tell us a bit about yourself and what brought you to New York Film Academy? Kazy Tauginas (KT): I grew up just outside of Chicago. Attended the University of Delaware for undergrad. After college, I ended up running a 24-hour diner for 4+ years. When my lease was up, and of no fault of my own, I was forced to walk away from the restaurant business. This event brought me to a fork in the road career-wise. I decided to follow my heart and go after my true dream, which was acting and writing. That life-changing decision led me to NYFA, where I graduated from the Acting for Film Conservatory program in August 2009. NYFA: Why acting? What inspires you most about this craft, and what stories are you most passionate about telling? KT: I’ve always had an affinity for film since I was a child. I can probably trace back most of my notable childhood events to the films that coincided with them that particular year. I was also an only child, so I had to keep myself entertained. I would create epic adventures for my G.I. Joes. I would run around the backyard pretending I was Indiana Jones. It wasn’t until later in life that I realized I actually enjoyed performing. What appeals most to me about acting is the ability to step into the shoes of others. Being able to experience different human emotions and walk away (mostly unscathed). I love creating characters. I love being able to surprise people. When I was younger, I always enjoyed a good action movie. But I feel now, as I’ve matured, I prefer films with strong performances — the genre doesn’t matter. If the performances in the films are rooted in truth, I’m entertained. At the end of the day, I just want to be truthful on screen and take people on an emotional ride. 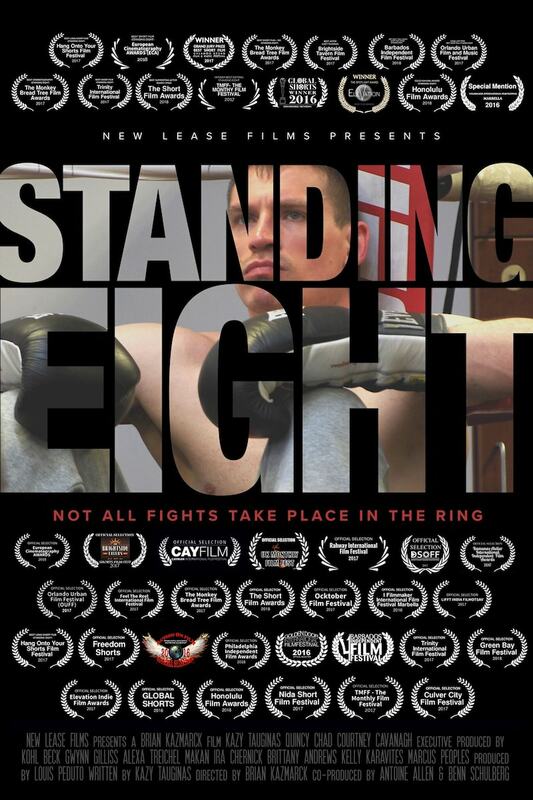 NYFA: You’ve recently produced a short film called Standing Eight. Can you talk about this project, and what it took for you to make this film? 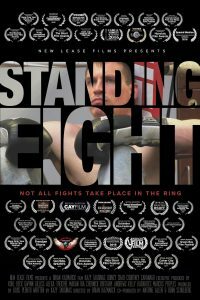 KT: Standing Eight is an award-winning dramatic short film about a professional boxer who is forced to retire and contend with his life outside of the ring after being diagnosed with systemic lupus. It’s a story about a man who is trying to face the fact that he’s been beaten by a disease. The conflict only escalates when his former would-be opponent begins trolling him. This project was a labor of love. Through and through. My inspiration came from my mother, who has been fighting Systemic Lupus Nephritis since before I was born. Lupus affects millions of people around the globe, yet so few people even know what the disease actually does to the body. (It’s an autoimmune disease wherein the body’s own immune system attacks healthy organs and tissues.) Louis Peduto, Brian Kazmarck, and I made a hard commitment to work with each other in a Producer, Director, Writer/Actor capacity. I wrote the first draft of the film at the end of 2014. From that point, we went through multiple drafts of the screenplay, two successful Kickstarter campaigns (one for actual production, one for post-production). Principal, post, festival submissions, and finally an incredibly successful indie festival run. 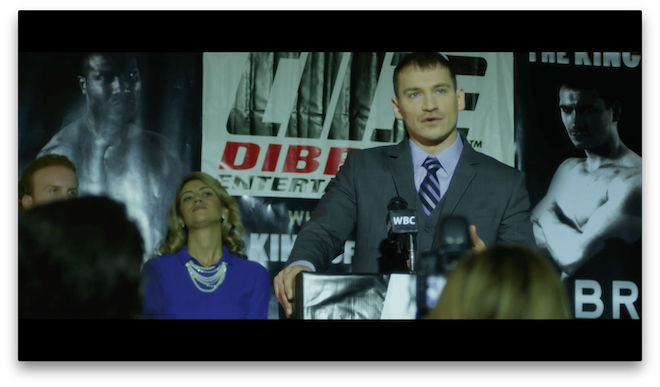 The film was an Official Selection at 28 festivals worldwide. We were nominated for 22 various awards. In the end, we took home 11 different festival awards and 4 Honorable Mentions. I think the film is accomplishing what I originally set out to do, which was raise lupus awareness. Just recently I was contacted by the Lupus Foundation of America, and we’re going to be working together to promote the release of Standing Eight on Amazon. NYFA: That’s incredible, congratulations. You’re currently co-starring in the Denzel Washington film The Equalizer 2. What was the casting process like for that? NYFA: Any fun stories or lessons learned while on set for The Equalizer 2? KT: To be honest, the entire shoot was a blast. I was in Boston for almost three months. Shooting the climax was physically challenging, but WORTH EVERY SECOND. I worked incredibly hard with the stunt team to make sure I looked the part. I put in hours of training with the rifle. Huge shoutout to Jeff Dashnaw and Mick Gould. Jeff was the stunt coordinator and put together an incredible team. I’m sure Mick got sick of all my questions at some point, but I’m a perfectionist. I was hellbent on not being the weakest link. My favorite moment was definitely when I ad-libbed a bunch of lines and Antoine Fuqua absolutely loved it. He jumped out of the van, grabbed my shirt, and said “That’s what I’m talking about!! !” Having a director of that caliber — especially one who I’ve been a fan of for so many years — to give such positive feedback was overwhelming. It was one of those moments in life that just reaffirms that I’m on the right path. 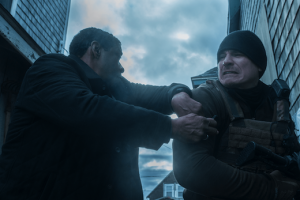 NYFA: How were your experiences different between Standing Eight and The Equalizer 2? KT: On Equalizer, my only function was to act. So it was relatively simple. Everything was laid out for me and all I had to do was bring my A-game. When you’re an actor, I tend to think of myself as one color on the canvas. When you’re a filmmaker, you’re a painter. On Equalizer I was paint. On Standing Eight, I was more of a painter. Standing Eight was a challenge because I had to wear so many different hats. Luckily, by the time we went to principal photography we had ironed out most of the producing and writing kinks, and I was able to concentrate on my performance. So my experience on Standing Eight was more complex. But to be honest, they were both incredibly rewarding, just on different levels. NYFA: Was there anything your experiences on Standing Eight and The Equalizer 2 had in common? KT: Absolutely. My commitment. Whenever I put my name on anything, I put my heart and soul into it. As an actor, Equalizer was the opportunity of a lifetime and I treated it as such. I felt exactly the same on Standing Eight. I wanted my painting to be perfect. No matter what the project, I want to always be the best me I can be. NYFA: What did you learn at NYFA that you applied directly to your work on either Standing Eight or The Equalizer 2? KT: What didn’t I use? Everything you learn in acting school becomes applicable at different points in your career. NYFA: You’re currently working on the film Invisible Love, produced by NYFA Chair of Broadcast Journalism and Emmy Award-winning Bill Einreinhofer. What was the casting process for Invisible Love? KT: [Former NYFA Chair of Acting for Film] Peter Allen Stone and I are connected on social media and he’s been following my journey since I left school. My understanding is that Bill mentioned something to him about the project he was producing and needing talent. Peter threw my name out there. It just worked out splendidly. I auditioned for them. Apparently, I did well, so the offer came in. I love the character they want me to play. I’m really looking forward to working on it. KT: I’m currently working on a huge film for a streaming service with an incredibly talented cast. Unfortunately, that’s all I’m allowed to say. Invisible Love is supposed to go into production in the winter. As far as producing, I’m working on putting together a feature film with very similar elements as Standing Eight. It’s my dream to put lupus into mainstream dialogue so we can actually make finding a cure a reality. KT: I have very fond memories of my experiences at NYFA. So I took full advantage of the program while I was there. I think I ended up doing about 50 student films by the time I graduated. I went to every Q&A — got to meet Melissa Leo and Christopher Plummer. I made lifelong friends with some of my classmates and teachers. I really did have wonderful teachers. Lea Brandenburg engrained in my brain that when you’re on camera, you keep it simple. I remember by breakthrough in learning how to cry in Peter Allen Stone’s voice and movement class. Dressing in drag as my activity in Meisner class. I did that because James Price said that “manly men” like me would never do something like drag. Challenge accepted, sir. Bela Grushka was always so encouraging of my work. Our thesis film, which was directed by Victor Verhaeghe, was something my entire class was so proud of. We worked incredibly hard and made phone calls during our lunch break and sent out postcards to every single agent and manager in NYC to invite them to our screening. I really learned so much from that program. I feel like by the time I graduated, I was a different person. KT: Take advantage of everything NYFA has to offer. Go to workshops. Screenings. Talks with industry people. Meet filmmaking students. Meet writing students. Go to class prepared. Study. Shoot. Act. Apply everything you learn while you’re still in school. Find the other people who are as hungry as you are. Let your inhibitions go. LEARN. Be humble. You have to be a sponge to learn. Focus on the task at hand. Become the best you that you can be. In 2009, I fully committed to being a creative. If I can do it, you can do it. The New York Film Academy thanks Kazy Tauginas for his generous time and thoughtful responses, and congratulates him on his current success. We look forward to seeing what the future brings for Kazy! 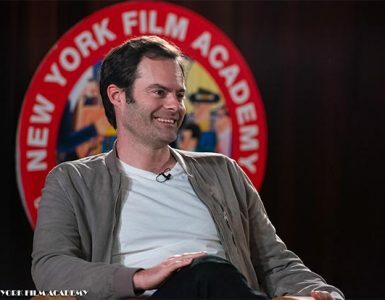 If you are interested in learning Acting for Film at the New York Film Academy, you can find more information on our programs here.